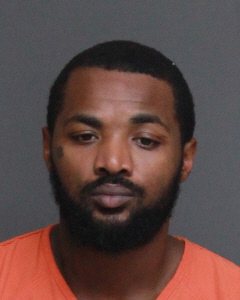 Robert Goodwin, Jr., age 29, of Maryland, pleaded guilty Wednesday for his role in the home invasion in Saluda County of the owners of Tidwell Jewelers, Lynda and Danny Tidwell. Goodwin was sentenced to forty-five (45) years in the South Carolina Department of Corrections by Circuit Court Judge Eugene C. Griffith, Jr., for Burglary First Degree, Armed Robbery, two counts of Kidnapping, and Criminal Conspiracy. Goodwin committed these crimes with his nephew, Abin Lee Lowman, and two others. Goodwin has a previous Manslaughter conviction out of Maryland. Solicitor Rick Hubbard and Assistant Solicitor Sutania Fuller handled the prosecution of this case. Lowman, who is from South Carolina, drove to Maryland to recruit Goodwin, James Wilson, and Joshua Darien to assist in the home invasion burglary and robbery of the Tidwells. The four men conducted surveillance of the Tidwells for approximately a week prior to the burglary, learning their daily routine and habits. They purchased a handgun in Spartanburg and ammunition from a Walmart in North Augusta. They also bought dark clothing, gloves, walkie-talkies, and zip-ties in preparation for the home invasion. Shortly after midnight on March 8, 2017, Goodwin, Wilson, and Darien entered the Tidwells’ residence through a back window. Goodwin was armed with a .380 caliber pistol he had stolen from one of the Tidwells’ vehicles. As they entered the residence, they shouted “ATF” and ordered the Tidwells from their bedroom. The three men then forced the Tidwells to lie face-down on the floor and tied their hands behind their backs with zip-ties. The Tidwells were then separated and threatened for information as to valuables in their home. Mr. Tidwell was questioned about the codes and keys to his jewelry store while a gun was pressed to his head. At one point, Goodwin took Mrs. Tidwell’s driver’s license and showed it to Mr. Tidwell, saying “I see your wife is an organ donor. You don’t want her to be donating any organs, do you?” The Tidwells endured this terrifying ordeal for approximately two hours. As Goodwin, Wilson, and Darien threatened the Tidwells and searched the home, Lowman waited outside on the back porch for the keys to the jewelry store, alarm and safe codes. He then drove to Johnston with the intent to rob the Tidwells’ jewelry store. His plans were interrupted when he was stopped and arrested by the Johnston Police Department for a traffic violation. Goodwin, Wilson, and Darien stole the Tidwells’ vehicle and drove to Aiken County where they abandoned the vehicle. The three men were also captured on video surveillance together at a local establishment in Aiken. They took jewelry, cash, and other items from the home. Some of the items taken from the home were recovered in Aiken. All three men eventually made it back to Maryland. The Tidwells were able to free themselves shortly after the men left the residence and seek help from neighbors. The Saluda County Sheriff’s Office responded to the scene and requested the assistance of the South Carolina Law Enforcement Division (SLED). Officers were able to quickly identify all four suspects and Lowman’s vehicle using video surveillance from the Tidwells’ neighborhood and information from a suspicious vehicle report involving all four men that occurred a week prior to the home invasion. In searching Lowman’s car after his arrest in Johnston, law enforcement found Maryland identification cards belonging to Goodwin and Wilson, Goodwin’s cell phone, and ammunition for one of the pistols used in the crime. Goodwin, Darien, and Wilson were all eventually arrested in Maryland and brought back to South Carolina. They have each pleaded guilty in Federal Court for their role in this crime. Darien’s and Wilson’s state charges are still pending. Lowman was tried and convicted for these crimes in Saluda County the week of June 18, 2018. He was sentenced to Life without the possibility of parole. This case required several agencies working together. We are grateful to the Saluda County Sheriff’s Office, South Carolina Law Enforcement Division (SLED), Alcohol, Tobacco, Firearms, and Explosives (ATF), Montgomery County Police Department in Maryland, Prince George County Police Department in Maryland, Greenville Department of Public Safety, Edgefield County Sheriff’s Office, Johnston Police Department, and Aiken County Sheriff’s Department for their work on this case.